created in person, in real-time! A broad sample of visual thinking work from live graphic recording to illustrations, sketchnotes, and other visuals created in studio. Many have links to where they've been used. Check out my Services page to see a gallery of samples of each type of work. Or check out every page of this site to see an even broader range of my work. 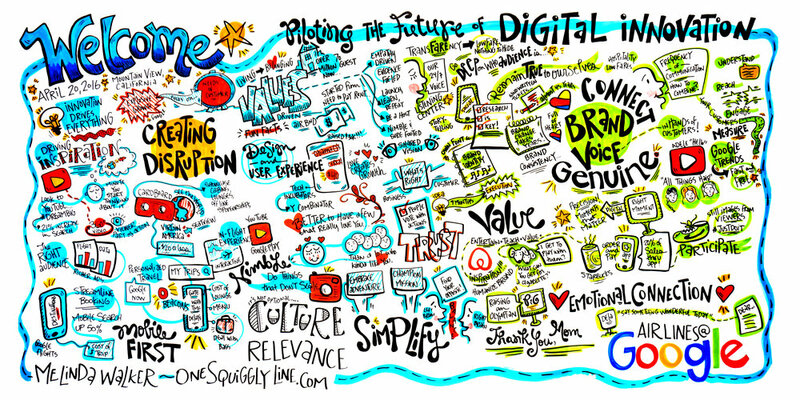 A morning of innovative content represented visually in one 4'x8' sheet of paper. Panel discussions are usually full of juicy content. As you can see, Digital Day with Google and Pollen VC was no exception! Visual notes created live, on-site during the 1 hour discussion. When it comes to successful innovation, Google knows what they're doing - and they're quick to recognize the importance of visuals in the whole process. Another Executive Summit at Google, with each topic drawn on 2'x3' paper. This is just one day of visual notes! 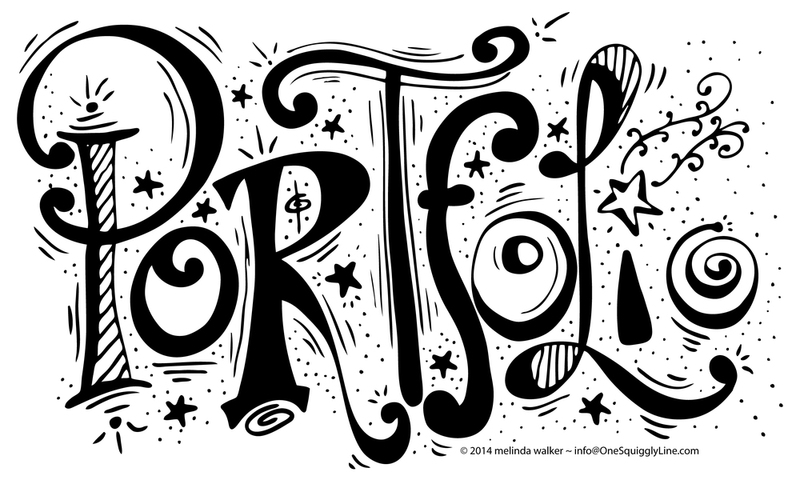 Over 2.5 hours on stage drawing out 5-minute talks from 21 speakers! See the whole set of visual notes from the 4 day conference in this Flickr album or the CodeMash blog. Almost 13 hours of graphic recording at this 2 day event, with featured speakers from major corporations, non-profits, and even the White House. See all images in this Flickr album. One full day of live illustrated notes on 32" x 40" foamcore boards. See all visuals created that day in this Flickr album. Western Union has been in business for over a century - they know the power of visuals! All 16 sketchnotes from the Right-Brainers in Business video summit can be seen on my Flickr set. 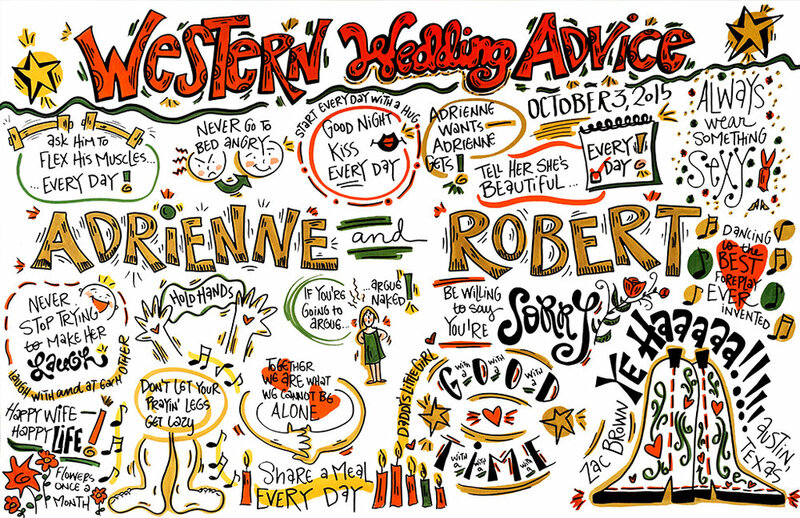 The two sketchnotes here were featured in issue six (pages 103-5) of the UK based Twohundredby200 Magazine. One was also featured on the Sketchnote Army blog and another from the summit (not pictured here) was featured on Beth Kempton's Do What You Love blog. Two sketchnotes done in real-time from live-streamed video, featured on the de Young Museum and Sally Kohn's blog. More sketchnotes done in real-time from an interview with Harvard Scholar Teresa Amabile by Dr. Puccio can be seen on the International Center for Studies in Creativity blog. A one page visual book summary of Todd Henry's The Accidental Creative, is featured on page 161 of The Sketchnote Workbook, by Mike Rhode. One page of research connections and my personal reactions, as well as visual summaries of each chapter (Chapter 8 shown here), can be seen in my Flickr set. Live illustrated notes at the fifth (and largest yet!) TEDxBerkeley event held on the UC Berkeley campus, co-recorded with fellow Bay Area visual artist Melanie Ida Chopko. All talks I captured can be seen on my Flickr set and the TEDxBerkeley website (click on each speaker's picture). Also check out Beth Kanter's blog about her experience as a speaker. A couple of illustrated notes created from pre-recorded talks — these were some of my first attempts working in real-time and just for practice, not for a client...much to my surprise, the one with Tina Seelig at TEDx Stanford was featured on the TEDx blog! As a lead teacher at The Beyonder Academy, I captured each activity visually throughout the week-long summer camp for kids and teens. T-Shirt design — Washington, D.C. The International Child Art Foundation organizes the World Children's Festival every four years to celebrate the power of art and creativity. I presented a workshop about idea generation at the last festival and designed t-shirts for our group from the International Center for Studies in Creativity to wear. The t-shirt design was later adopted for use by the Beyonder Camp. I was invited to present a 4.5 hour visual thinking workshop at the Creativity Expert Exchange. This was a hands-on interactive workshop, combining current research with practical application and personal reflection. "I found all this practice useful for facilitators, even when people don't know how to draw or if they don't have good skills." "Melinda sure knows her skill set and how to present it!" "The sequence of training was excellent: information to experience to knowledge." "Very, very well designed workshop!" "Engaging, hands-on, and immensely useful - time flew by!" "Great job presenting to adverse audience. Very impressive on all fronts!" "Melinda is great - patient, very talented, and willing to share." "And last but not least, Melinda Walker’s Master Class in Visual Thinking was a revelation! Wonderfully prepared and delivered, it was a practical and engaging lesson in visual communications. Thanks Melinda!" Posters and accompanying handout for one of the many creativity presentations at MindCamp, Canada's creativity conference. Most of my work is done in real-time right in front of people at events, conferences, meetings, presentations, etc. Basically, I just set up an easel or tape paper to the wall and draw while people talk. I listen very carefully and capture the key concepts and main ideas using a lot of pictures along with words... and squiggly lines :) When people finish talking, I'm usually done drawing. The drawings are most powerful when displayed afterwards where people mingle, so they can continue to talk about all the great content they just heard (like around the refreshments table or main hallway, for example). At the end of the day, I photograph my drawings and leave them with you. A few days later, I'll send you high resolution digital files of the images that will print well and can be used online, too. I can draw on a variety of surfaces in a variety of sizes and can help you best determine what will be best for you. Most of the time I draw on foam core boards or paper, but I've also drawn on white boards, writeable walls, glass panels, chalkboards, chalkboard tables, plastic panels, vinyl sheets...I'm open to your ideas! Sometimes, I work more interactively, drawing out people's responses to a question or prompt. This is a great way to get a feel for what is on the crowd's mind and can give folks a central talking point while they mingle. Samples of work created this way are shown above, created at parties, receptions, and even DreamForce! increase engagement among conference or event attendees. give your clients a unique, personalized, and strategic deliverable after your meeting. Who works with One Squiggly Line? I'm so grateful for all of my amazing clients! Just a partial list above...check out the testimonials page to see what they have to say about their experiences working with One Squiggly Line. Be sure to check out the FAQ page — you can even print it out and share it. Then go ahead and send me that email! I can't wait to come draw for you!